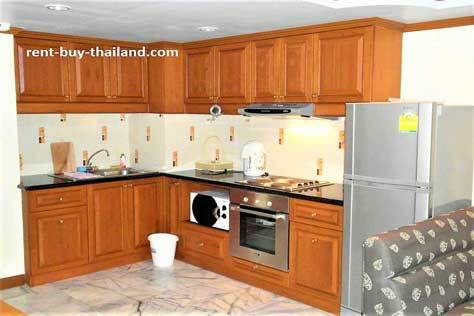 Rental Price - 36,000 - 54,000 Thai Baht per month depending on season and length of stay. 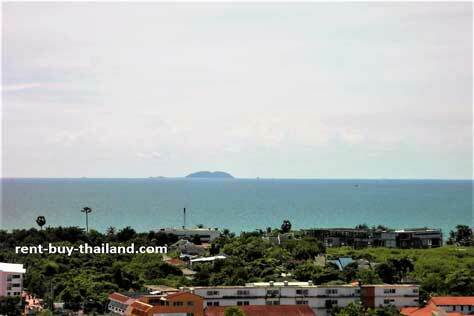 This is a fantastic sea view two bedroom, two bathroom condo, on the 16th floor of the Angket Condominium, which is finished to a high standard and fully furnished with beautiful hand carved wooden furniture throughout. The apartment consists of an open plan kitchen area, living area and dining area plus two separate bedrooms, two bathrooms and a balcony with lovely sea views. The European style kitchen is well equipped with everything you need, including a toaster, microwave, hot water kettle and refrigerator, plus an oven, electric hobs and an extractor fan. 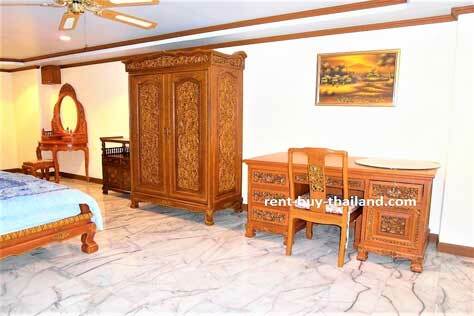 There is a good size living area which is furnished with a large corner sofa and a TV and DVD player. There are hand carved, intricately detailed, wooden display cabinets, along with a hand carved wooden dining table and chairs. The two bedrooms are of a good size and are furnished with double beds and plenty of storage space All furniture is hand carved in fantastically intricate detail, including wardrobes, bedside cabinets and a dressing table - there is also a desk and chair in the master bedroom, providing office space. The two bathrooms have been modernized to a high standard; they are fully tiled and include a toilet, a large marble work surface housing a basin, and a shower - the main bathroom also has a bathtub. The balcony, which comes complete with balcony furniture, provides fantastic sea views and offers a lovely place for you to relax. The apartment also features down-lighting, air conditioning, ceiling fans and marble flooring throughout. Angket Hip Residence is a Jomtien complex condotel at just 750 meters from Jomtien Beach, which offers plenty of restaurants, shops, bars and water-sports along its 6 km beautiful sandy beach. A short walk from the property you will find local markets, supermarkets, shops, bars and restaurants. The complex has a new and stylish reception area, and provides 24-hour security, key card access, laundry service and high speed internet. Amenities residents can benefit from include a fitness center and a communal swimming pool, including a splash pool for children to enjoy safely. There is also a spa offering a range of relaxation treatments and massages, an air-conditioned club house and a coffee shop. Other apartments are available at Angket Hip Residence, please inquire for further details.